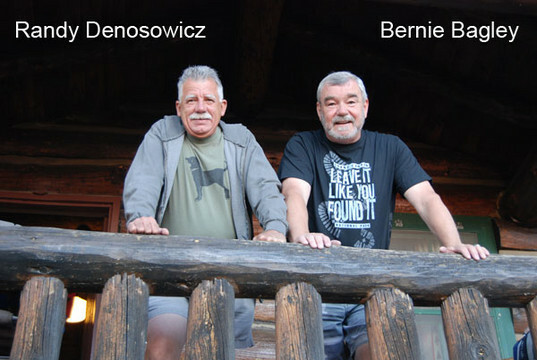 Antiques of Dallas is owned by Bernie Bagley and Randy Denosowicz. They started the company in January 2010. While both enjoy collecting antiques, it is definitely the hunting and finding the unusual that they most enjoy. When they find an item that has a story behind it, that is even more exciting for them. Bernie is originally from Massachusetts. He moved to Texas in the 1980's. Selling antiques is not new to him. Years ago, he owned a store in a small town west of Fort Worth. His shop was called "Age Before Beauty" because you had to walk through the antique store to get to the beauty salon. When he is out looking for finds, he can dig around for hours. He can "pick" with the best. He usually is the one that finds the really different and sometimes oddball items. Of course, we often have to do a lot of research to determine out what the item is. Photography is one of his interests and he provides the photos for our web site. Randy is a native Texan. He also lived on the east coast, in Boston and New York City. There, he really began collecting and learning about antiques and American history. When he moved back to Texas, he became a co-owner of an antique and gift store in the River Oaks section of Houston, called Norton, Ltd.
His passion is furniture, particularly New England and Texas primitives. Randy always wants to know the "story" behind a find, and he doesn't mind spending hours, cleaning and preparing one as though it will go into his own home; and sometimes it does. Interestingly, he shopped both Brimfield and Round Top during their very early days. Today, he is having fun selling at both shows. Since he has a computer and marketing background, Randy built and maintains our web site.